Welcome to my monthly Compassion Share & Tell post! 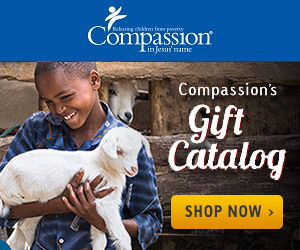 This month, I am sending just a few things to my Compassion kids. DaySpring cards - these are cute 99 cent cards in Spanish! I found these at a local Bible book store, but we did see them at Hobby Lobby too. Spring bookmarks - are you following Compassion on Pinterest? I sure hope you are! So many ideas to print out and create for our sponsored children! Inside each of the cards, I have written, "I am so thankful for you!" I don't believe we need to send a long letter to our sponsored children each month. These simple things will let our kids know that they are in our thoughts and prayers. I don't know about you, but wouldn't you love to receive something like this in your mailbox? I know when those cream-colored Compassion envelopes arrive in the mail, they sure do brighten my day! Want to share what you have mailed recently to your sponsored child? Leave a comment below, or if you have a blog, join the blog link up. I love to see what other sponsors are sending to their Compassion kids!